This is the index of SubhashBose.com network sites. 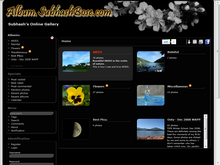 All the network sites under SubhashBose.com are listed below. The sites are listed in ascending order of publishing date, newest site is at the bottom whereas oldest site is at the top. Friends4ever - A Community of Trusted Friends. This is a small community site, here members can register themselves and participate in the discussion on various topics in the community. SMS Planet is a site dedicated for mobile SMSs, here you may find SMS for every mood and occasion. It has a huge collection on SMS. The SMSs are categorized according to their types, like Friendship SMS, Love/Romantic SMS, Fun/Joke SMS, Hindi, Bengali SMS, New Year, Christmas and lots more. This is a WAP (Wireless Access Protocol) site built for Mobile surfing. Since this is a WAP site and written in WML language, this site can not be viewed by regular web browser on your PC. To view the site you must visit the site from your mobile WAP/WEB browser. In this site you may find download for mobile Ringtones and Wallpapers. There is also a feature by which you can transfer any file from your computer to your mobile. For accessing any downlods you must register in the site. For more details please visit the site from your mobile. This is not a public site. It is a small site which is dedicated only for the general information about server status of the network sites. In case of any site's failure, the status information and updates about the particular site can be found here, it can also serve as a platform for contacting the administrator in case of emergency server failures. Hostworld is free web hosting site. Here you can signup for a free webhosting and you can build your own website on the webspace we will provide. 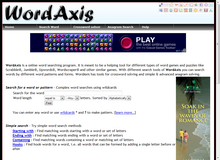 This is Ad-supported, so a small Ad banner will be placed on the bottom of the site. 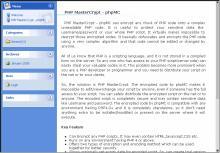 This site is dedicated to programming and different kind of programming languages. 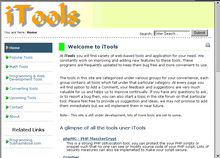 Here you will find different programming utilities and some software written by me. You may also find tutorials and other type of programming help.